I know. They're weeds. They get too big. Their roots are impossible. I'll regret planting them. No way! They're Agapanthus and I love them to bits. 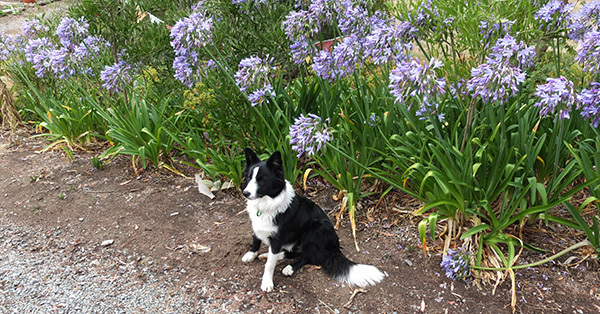 But I do have some Agapanthus rules. They are not allowed in any of the house gardens. Their destiny is to be mass planted in difficult areas - underneath pine and gum trees, near Leyland hedges, and so on. And I require them to be cheap, or free. I check the 'dig your own out' pages on the local buy-and-sell website. I fill my little car up to the roof with their strappy green leaves. Sometimes I take some good quality man-muscle (Non-Gardening Partner) and his trailer. A large clump is easily divided into twenty, maybe even thirty individual plants. Friends in small suburban gardens often just want to get rid of them. 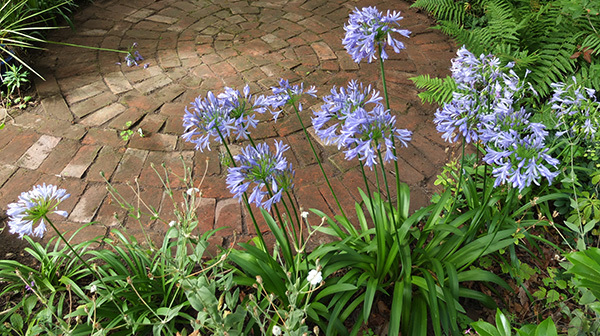 And some folk simply dislike them, regardless - begone, weedy Agapanthus, begone! I find this hard to understand. 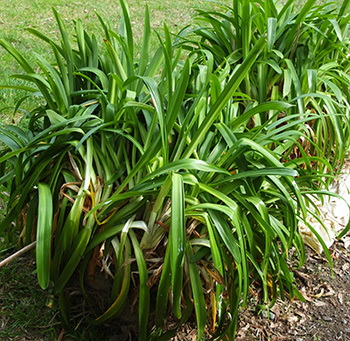 I've been offering a good country home to unwanted Agapanthus for some years now. They've survived difficult placement in poor soils and dry conditions, without sulking. Early mass plantings in my garden are taking forever to clump out and get 'too big'. There simply isn't a problem here. Admire a pushy, opportunist Clematis montana in spring and you'll rue the day you welcomed it. Plant a Wedding Day rambling rose for summer and get bitten on the bottom. But be an all-year-round foliage fanatic and have a large temperate country garden? Then Agapathus are for YOU!!! Shades of blue, or white, flowering in mid-summer, happy in dryish, poor soil... say no more! These bulbous plants are from South Africa. The species varieties get pretty chunky, and the small-garden owner should approach then with common sense and a little caution. 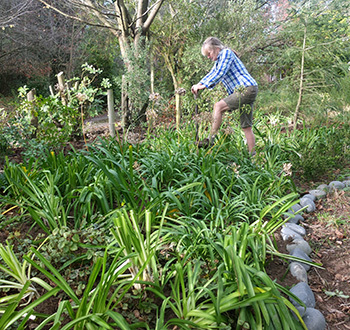 In New Zealand, for example, Agapanthus praecox is classed as an 'environmental weed'. If the species are just too scary, there are delightful miniature hybrids, highly desirable, perfect for edging a smaller garden space. And even a little variegated cutie-pie called Tinkerbell to tempt you. Enjoy!